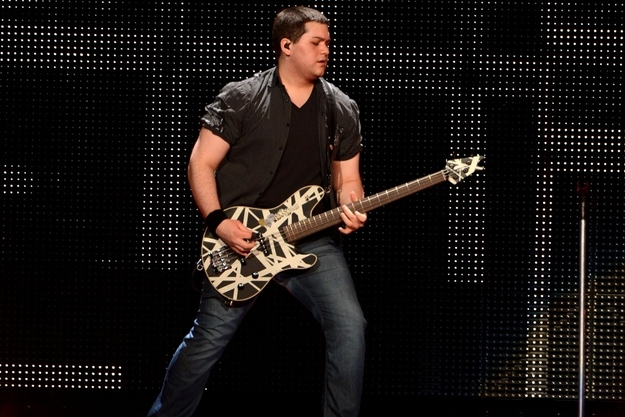 Wolfgang Van Halen is streaming a brief audio preview of a track from his forthcoming debut solo album. “A sneak peek to start your week,” wrote the multi-instrumentalist on his social media sites alongside the audio snippet from the project, which he’s been working on over the past couple of years. The Van Halen bassist is reportedly playing everything on his debut – from guitars, drums and bass to keyboards and vocals. No official timetable for the set’s release has been revealed to date. Wolfgang joined Van Halen in 2007 in sync with the return of original frontman David Lee Roth, replacing Michael Anthony, who was dismissed by Eddie following the group’s ill-fated 2004 reunion tour with Sammy Hagar.